It's definitely worth watching on the big screen. Right off the bat, it’s safe to say that BuyBust is a thrilling, jaw-dropping experience. 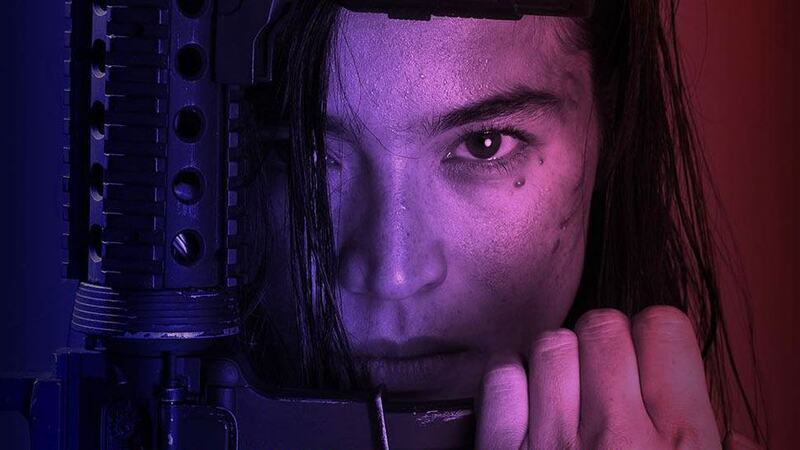 Directed by Erik Matti, Anne Curtis' latest project is a straightforward action film along the lines of On The Job—but on steroids. The plot follows a PDEA squad on a rainy drug bust operation in the most entangled slum area in the belly of Manila. What ensues is an exhausting but exhilarating 127 minutes of blood, gore, action, and a hard-hitting last act that will keep you on the edge of your seat. But more than just punches and bullets, the film actually delivers a deeper and relevant message that’s worth more than the movie ticket you’ll pay for. Scroll down to see why BuyBust is this year’s game-changing action flick. 1. It's not the girl power movie it appears to be. Sorry, but BuyBust is not riding the girl power wave of the West. Sure, choosing a female lead for an action movie is a feat, but the movie doesn't make a huge deal out of it. And it's their nonchalance that gives the casting choice more power and authenticity. As a woman, it feels respectful to have the message of equality presented as it is instead of surrounding it with unnecessary theatrics that triviliaze the female struggle. Simply creating a female figure who is as strong, competent, and flawed as her male counterparts can be a statement on its own. It shows, ultimately, that we don't have to try too hard. 2. 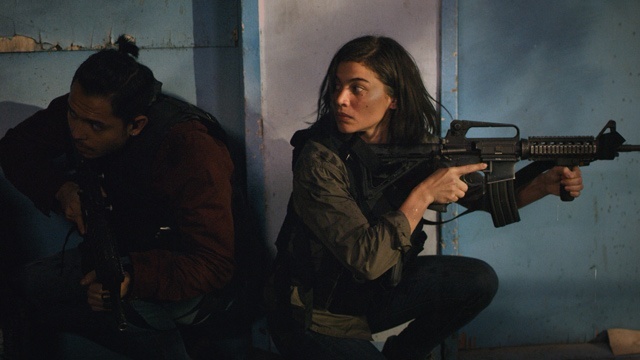 Anne Curtis breathes life into the movie as a female Filipino action star, and proves that a woman can do so with justice. 3. It puts common action film cliches to rest. This isn’t like Die Hard, The Expendables, or any Dwayne Johnson film where protagonists do superhuman fighting, are equipped with enough fire power, and come out fresh and pumped after every action sequence. BuyBust starts out with an optimistic tone that reassures the audience that all hell will break loose but your heroes will be fine. But then after a jarring and violent scene with Levi Ignacio and Tarek El Tayech, it starts to feel like you’re watching a Quentin Tarantino sequence from Kill Bill but with jawdropping Game of Thrones-esque twists. It's so refreshing to have a film that keeps throwing you off of your expectations, and it was successfully able to maintain that relentless sense of suspense all throughout the film. 4. The production and set design are unbelievably realistic. Once Anne’s Alpha squad enters the maze-like slum area called Gracia ni Maria, you'll literally feel like you’ve entered a real-life settlement in the heart of Tondo. This is thanks to the set built by Michael Español and Roma Regala. Their attention to detail is crazy good—you have the mismatched wood and panels made of yero, haphazardly placed garbage, spider electrical wires, and neon lights here and there, plus the ever present "tubero" signs and liquor posters. It’s so convincing that one might forget it’s actually just a film set. 5. It proves that an action film can be done without sexualizing women. In some way, BuyBust almost pokes fun at how much we expect women to be sexualized in films. There's always something that usually happens in action films once women are put in a vulnerable position, and for the sole reason that a woman exists in the scene. But here, it never happens, despite the many opportunities. Why? Because it's unnecessary. That's it. The movie effectively makes its point without so much as baring a leg in fishnets. If only other films would mull over that same necessity (or lack thereof), maybe more women would take the message in action films seriously. 6. The musical score makes the film even more thrilling to watch. No offense, but action films usually opt for an epic and somewhat cheesy soundtrack to back up all that's happening onscreen—that, or an expected pop 40 track blasts in the background while explosions go on. But that’s not the case for BuyBust. Erwin Romulo worked on the score for this film (he previously did Erik Matti’s On The Job, which is still one of the best scored local films ever) alongside Malek Lopez. BuyBust’s score amplifies the adrenaline of each messy fight, as well as adds a little fun, topsy-turvy vibe to scenes that are more entertaining. Romulo and Lopez also know when to cut the volume off, and when to leave a scene in silence while keeping you at the edge of your seat. 7. It presents a timely commentary on the drug war. The worsening condition of the drug war has created fighting machines out of Gracia ni Maria's dwellers, their helplessness making them see violence as their existence's last frontier. Had the movie focused on the grieving mother of the drug war's casualty instead of grazing over it, rooting for the PDEA agents to make it out of the slums alive would make no sense. 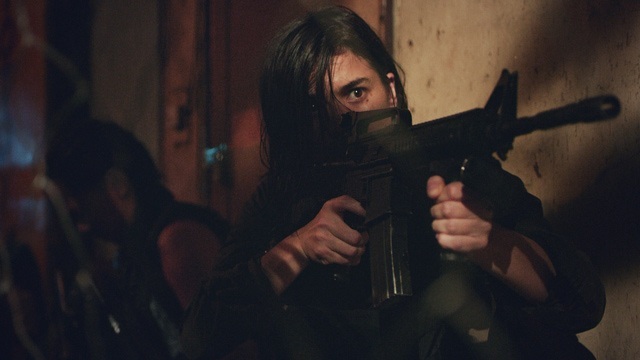 BuyBust's angle works to its advantage: We see two parties fighting the same battle, one they soon realize is bigger than they are, and one that perhaps neither is meant to win. 8. It proves that a Filipino action film can be both brazenly entertaining but also socially relevant. 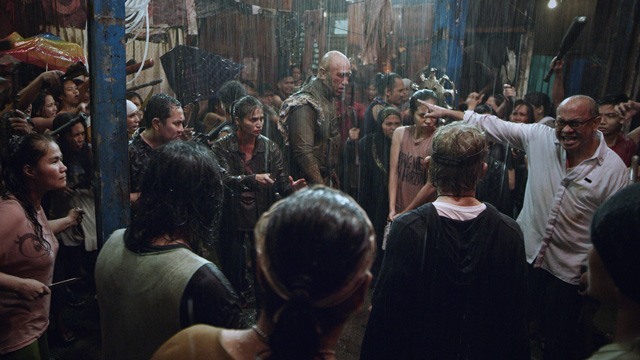 What makes BuyBust one of the best local action films is that it successfully entertains but at the same time relays powerful commentary on current events. It’s the right amount of popcorn action that’ll keep your eyes glued to the screen and your heart racing, but it’ll also make you think. And we mean think a lot about our country’s current political situation. You can watch BuyBust as a surface level piece and still get something from it, and watch it again on a more metaphorical level and be more enlightened. The last 20 minutes of the film are powerful and eye-opening, and you’ll definitely come out of the cinema (street) smarter and woke. Catch Buy Bust in theaters nationwide on August 1.